Billie Farmer, age 77 of Boaz died Tuesday, January 22, 2019 at Baptist Health in Paducah. He was born the son of the late Donnie Jackson Farmer and the late Mable Jones Farmer. He was retired from Bunny Bread. He was a former high school basketball referee. He was an avid fisherman and loved to camp. He enjoyed spending time at yard sales when he had the opportunity. He loved University of Kentucky Basketball and the St. Louis Cardinals. He was a member of Houser Grove Church of Christ. Funeral services will be 11:00 a.m., Friday, January 25, 2019 at Keeling & Goodman Funeral Home in Paducah. Burial will follow in Houser Grove Church of Christ Cemetery. Visitation will be 5:00 p.m. until 8:00 p.m., Thursday, January 24, 2019 at the funeral home, and Friday, January 25, 2019 from 10:00 a.m. until the funeral hour. Keeling & Goodman Funeral Home is in charge of arrangements. 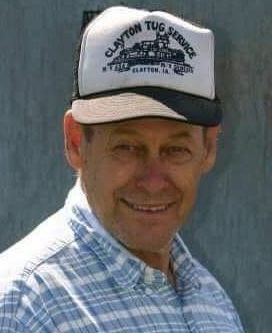 He is survived by his wife: Lela M. Farmer of Boaz; his son: Donald Farmer (Karen) of Boaz, his daughter: Connie Rednour (Jason) of Bloomington, Illinois; his four grandchildren; his three step grandchildren; his six great grandchildren; his one great great grandchild; and his one step great great grandchild. In addition to his parents, he was preceded in death by his brother: J.D. Farmer.